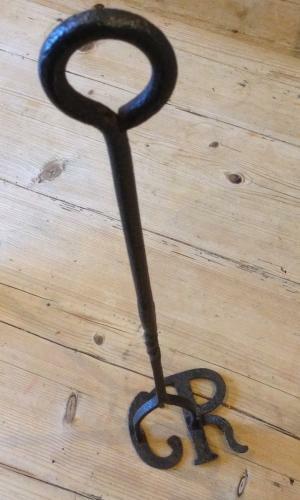 Good 19th cent Branding Iron. Blacksmith made with initials 'CR'. Twist decoration in centre of handle. Good condition. Used to mark the sheep once shorn etc.